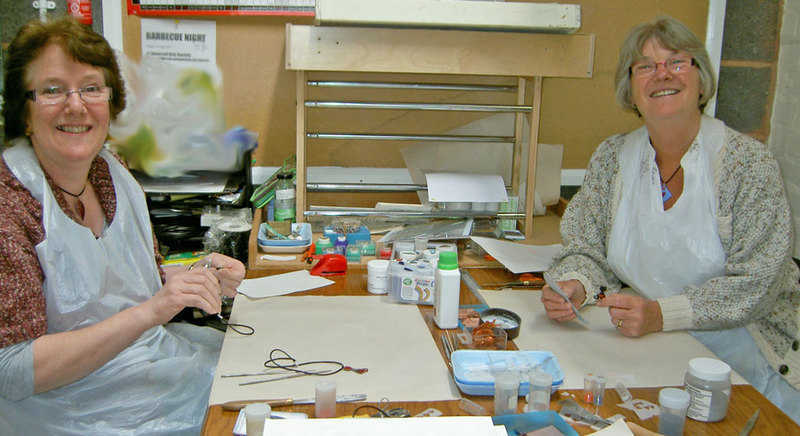 You can learn the basics of enamelling and create your own jewellery/plaque. The pendants to the left were made by students in a two hour session. Book a four person session - £20 each. Sessions are available on Wednesday, Thursday and Saturday mornings. Generally, Saturday sessions are only available between January and October, as I attend seasonal craft fairs during November and December. Bookings can be made in the ways given below. It would be helpful if you have in mind two or three potential dates and the number of people attending when making contact. If sessions are to take place within one month of booking payment can be made in cash on the day. If prefered, or if a booking is for a date ahead, once a session has been confirmed payment can be made online. Unfortunately, at present I am unable to take payments over the phone. Call 07759 122984 to arrange a date for a session. Complete the form to the right. Please include the following in the 'Your message' area. A choice of possible dates. 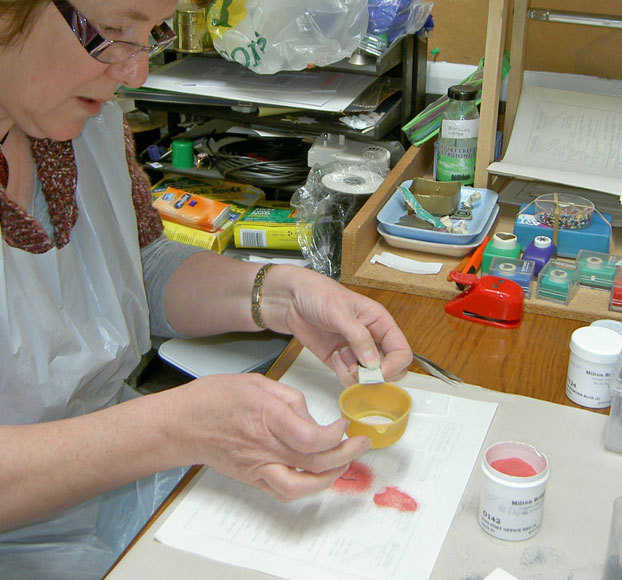 Whether you have done enamelling before. Drop into the workshop to arrange a session.